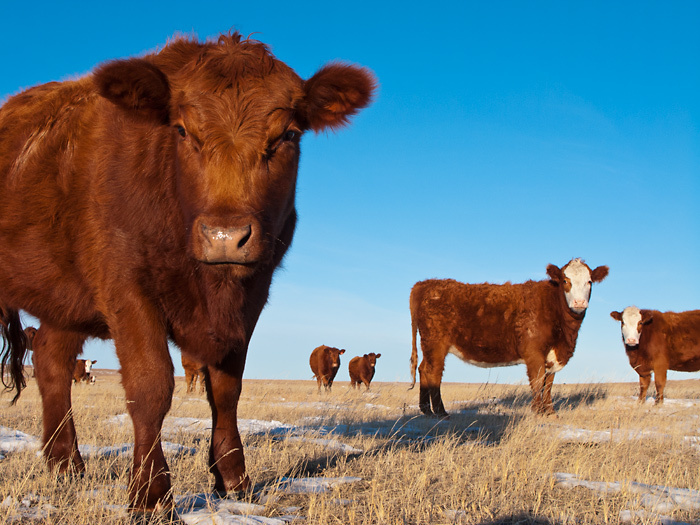 Can eating meat be ecologically sustainable? Meat is a complex and controversial issue. Can it be part of a diet that is ecologically sustainable and socially just? Arguments rage about this issue. One of the complexities is that meat is produced in very variable ways. The very best systems of pasture management can, it is argued, sequester more carbon into the soil than is necessary to offset the methane the cattle produce. They can also be part of restoring biodiverse habitats. In a blog in June I sang the praises of Will Harris of White Oak Pastures. However this represents the very apex of good meat production. The vast majority of meat production is very much less sustainable. Most animals raised for human consumption are fed on grain and soya that would be much more beneficially eaten directly by people. Even the best systems of meat production use a lot of space per unit of food produced. It would certainly be a good thing if humanity could massively reduce its meat consumption, say by 80 or 90%. One of the common assumptions people writing about population and diets was that as people get richer they would eat more meat. Throughout the Twentieth Century this held true: not any more. Veganism is growing rapidly in many countries, and it seems especially so among the young and better educated. Also for many of us who are omnivores we are eating a lot more meals that are plant based, with a very much reduced intake of meat and dairy. Globally levels of meat consumption vary a lot. Argentina and Uruguay top the table of per capita meat eating. India and China traditionally ate very much less but as people are getting wealthier they are eating more. Total global meat consumption is still rising but this may not go on much longer if veganism, vegetarianism and low meat lifestyles become more common, as I think they probably will. If humanity could reduce its meat consumption dramatically, (say by 80%) that would free up an enormous area of land for other purposes. Some of this could be used for agroforestry or renewable energy projects, but the vast majority could be used for rewilding. Increasing the area of forests in the world could help restore habitats thus allowing biodiversity to flourish again, and it would be a very effective way of sequestering carbon, so vital in helping combat climate change. Some people think that cultured meat, grown in laboratories, will replace traditional meat eating. Others see vegetable based meat substitutes, like textured soya protein as having a major role. Some argue we should switch from traditional meats to insects. Maybe meat eating will simply decline without the need for ersatz meats. Any of these perspectives may prove to be true. It is too early to say. This entry was posted in Climate Change, Environmental, Food & Farming on 31 October 2017 by Richard. 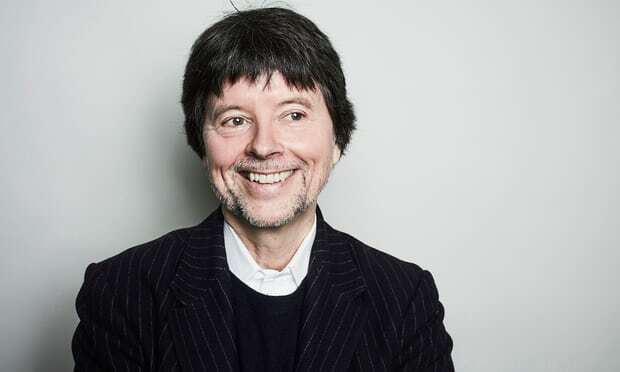 Ken Burns, whose documentary on the Vietnam War helps our understanding of it, so making possible atonement and healing. Last night I watched another absolutely gripping double bill of the epic ten part TV documentary on the Vietnam War by Ken Burns and Lynn Novick. They interviewed a thousand people and spent ten years making the series. Eighty of those interviews are included and they reveal the deepest feelings and thoughts of American soldiers, generals and anti war protestors as well as Viet Cong, South and North Vietnamese soldiers and civilians, all reflecting on the conflict many years later. There was also a very powerful selection of contemporary footage. Quite the best television I’ve seen in years. The current deep divisions in American Society, exemplified by the support for and resistance to Donald Trump, have, at least in part, their origins in the divisions created by the Vietnam War. Ken Burns talks about these divisions in American Society in an interesting interview in the Guardian. His film was intended to help heal the scars of Vietnam. Burns is optimistic that the institutions of American democracy are, and will continue to be, reinvigorated as they rise to the challenges that Trump represents. I hope he is right. In my darker moments I fear USA is teetering on the verge of civil war. An interesting parallel exists with Germany and how they came to terms with their own dreadful responsibility for Nazism. In West Germany there was a deep period of self reflection in the decades following the Second World War. This laid the foundations for their very sensible and mature style of democracy of these last seventy years. In communist East Germany there was much more of an institutional and personal denial of guilt, responsibility being shifted onto the capitalist west. The recent election results in Germany mirror this history, with support for the racist AfD strongest in the former East Germany. All warfare inevitably involves atrocities by all sides. People are traumatized, and often brutalized, by the experience of war, as some of the interviews in Ken Burns documentary show. They commit acts that are essentially insane. The period of healing, for individuals, nations and for our species is long and complex. At the core of it is recognising the horrors of our individual and collective histories. If we fail to acknowledge and take responsibility for them, we are much more likely to repeat more conflict, warfare and collective insanity. This entry was posted in Psychology, War on 18 October 2017 by Richard. In last week’s blog I wrote about how humans interpret the World through stories. This is, of course, an old idea. It overlaps and merges with the concept of meta-narrative. Max Weber used the term Weltanschauung to describe the ‘World outlook’ of various cultures, communities, nations or religions. Economic growth and the relative strength of nations have been at the core of the dominant belief systems throughout ‘The Fossil Fuel Age’. That historical era is drawing to a close. It will either be replaced by an era of chaos, war and ecological catastrophe or something very much better: a new golden age, or the term I’ve been using for years, ‘The Solar Age’. The continued existence of the human species depends on our ability to tackle the macro ecological challenges ahead, from climate change to habitat loss, from poor air quality to the plastics polluting our oceans. We need a pollution minimizing way of maximizing the benefits of a modern global economy that can bring prosperity to all humans while allowing biodiversity to flourish. The switch from fossil fuels to renewables is in itself important, but it also has a symbolic significance as a sign of wider social, political, economic and ecological renewal. This global energy transition is now happening far faster than many people expected. Governments, businesses and the media are all still caught up with the old story of how the World works and so failed to see the new narrative begin to unfold. In a way Trump, Putin and Brexit are manifestations of the fossil fuel industry fighting back to keep the old story alive. Last year two thirds of all new global electricity installations were renewables, and solar was the biggest and fastest growing sector. Newspapers and technical journals are full of reports of the falling cost of renewables and how they are displacing fossil fuels. This trend is increasing in speed. The prospect of renewables supplying 100% of humanity’s need for electricity, heating, cooling and transport looks ever brighter. Most of the world’s major car manufactures are beginning to make announcements about quitting petrol and diesel in favour of either battery electric or hydrogen fuel cell vehicles. Change is also happening in myriad ways as everything from global megacities to the design of individual houses adapts to a post fossil fuel world. I’m giving a talk, 3.30pm on Sunday 15th October, at De Koffie Pot in Hereford expanding on all of this. The talk is called ‘The Solar Age: Global Energy Futures’. It is part of the wider h.Energy events. Do come along if you’re in Hereford. Alternatively, if you’d like me to deliver this talk in your town, do please get in touch. This entry was posted in Belief Systems on 9 October 2017 by Richard. Today is International Day of Non-Violence. To achieve a better, more peaceful future we need a new story: a new narrative of the future we all want. In a very interesting article George Monbiot writes about how we humans need stories to navigate our way through the world. People tend to reject facts and views that do not conform to the narrative of the story through which they interpret the world. The two overarching narratives that have dominated the last seventy years of British, European and North American politics have been Keynesian social democracy and neoliberalism. Many voices have been trying for decades to tell another story. It has not yet got one agreed name. Monbiot uses ‘the Politics of Belonging’; others have talked about an ‘Earth centred’ or ‘human centred’, ‘Green’ or ‘Gandhian’ politics. It is this other story and the telling of it that has appealed to me since childhood. I don’t think I am alone in this. I, like Monbiot and many others, believe this other narrative would be very appealing to most of the people of the world if they had access to the story and a way to help implement it. Let me try and sum up what is the core of this other story. It is a story that puts the welfare of people at its heart and which understands our utter dependence on a healthy and thriving biosphere. Healthy populations of phytoplankton providing the oxygen we breathe, worms providing our soils fertility and bees the pollination for our plants are important indicators of success. The relative strength of nation states and their rates of economic growth have been the obsessions of the old Keynesian and neoliberal narratives. It is my belief that we can provide a comfortable standard of living for every human on earth and do so in ways that are not only ecologically sustainable but ecologically restorative. At the heart of this new story is the importance of liberating the human capacity for empathy, cooperation, connection and community. Only by sharing can we find individual happiness. Only by organising in our local and global communities can we hope to make this new story of universal peace and prosperity, ecological restoration and human fulfilment achievable. The established media and major political parties still hang on to the old Keynesian and neoliberal stories of how the world is. Millions of us are trying to tell another story. For the last seven and a half years I’ve been writing this blog and giving talks under the title ‘Global Problems: Global Solutions’. We could solve many, or all, of the major problems facing humanity. Technologically and philosophically so much is possible. Changing the narrative that dominates the media, politics and what people believe is possible is our principle challenge. Only when enough people believe this new and more hopeful story can we possibly achieve a better future. This entry was posted in Miscellaneous, Politics on 2 October 2017 by Richard.